Story telling develop communication , listening skills , curiosity , vocabulary and reading skills of children. 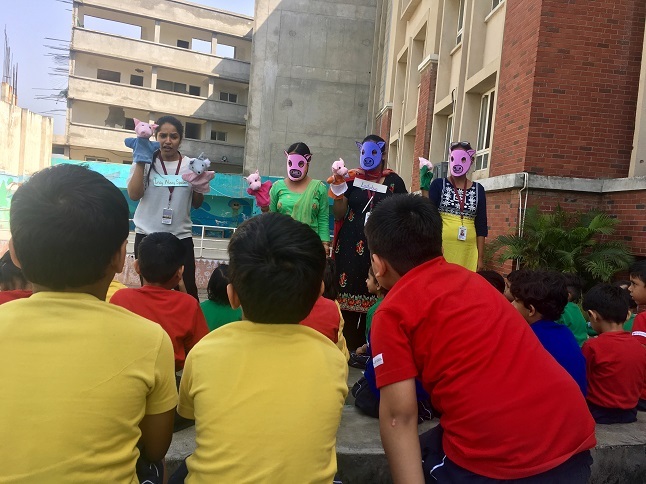 In the ATS Valley School, Dera Bassi, every Wednesday, we choose a different venue to tell the story so that the kids really feel a difference. Besides, we arrange props according to the story in advance and use them to their best while in the session. Also, different role plays in person and a different voice over for every character is done/given. To make it more interesting, even non-living things are brought to life and they speak which is great experience for the kids. For e.g. talking water, stones, clothes, etc. start to speak. The more the teller is involved; more will be the audience excited. After every story, a follow-up is very important to know if the kids really enjoyed the story or not. We do that in many ways. One, by asking questions about it right after the story is over. Secondly, by giving scenarios other than the real story like what if….? Apart from this, we ask them to draw pictures of whatever comes to their mind when they recall the story. This has proven the most beautiful and useful way of doing it since they come with beautiful drawings and also, try to write (characters’ names). For us, it is fun and learning each time! Puzzles are an important educational learning tool for toddlers and young children in our school as they provide many skills and mental learning benefits and opportunities. It develops cognitive skills development, problem solving, fine motor skills development, hand and eye coordination, social and self esteem. Our Swings Area (Jhoola Bari) plays an essential role in the social, emotional, cognitive, and physical well-being of children right from the stage of early childhood. It is a natural tool for children to develop resiliency as they learn to cooperate, overcome challenges and negotiate with others. It also allows children to be creative. Tree plantation program was held in ATS Valley School, Dera Bassi on 30th August 2018. The students of pre-primary actively participated in the program. Teachers and students went to plant sapling in the school premises. The teachers also explained about the trees and the importance of tree plantation. Free and unstructured play allows children to use their creativity while developing their imagination, dexterity, and physical, cognitive, and emotional strength. It is through play that children at a very early age engage and interact in the world around them. A little reading is all the therapy a person needs sometimes. Reading books everyday awakens children to the world around them and provide wings to their imagination. If a child reads one book every week it not only improves his thinking skills but his language skills brighten up. 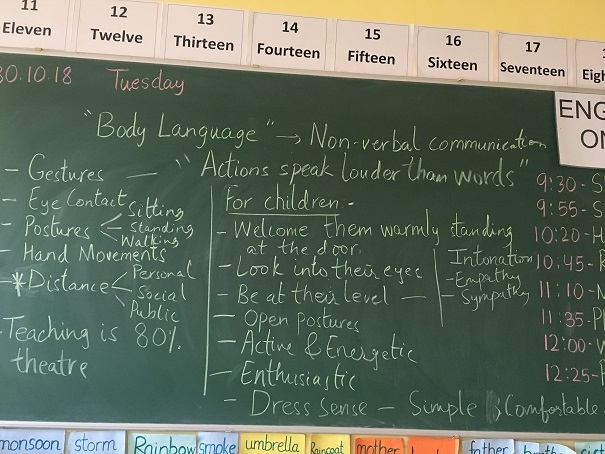 As every child has his/her own interests,therefore, sometimes we need to devise techniques that trigger children to indulge in useful practices. Every month a student from each class who reads maximum number of books is rewarded as a Star Reader of the month, which encourages other students, who do not like to read, to start reading books in which they are interested in. This invaluable token of appreciation motivates our children to accomplish the set target of reading maximum books in a month which would ultimately help them to become lifelong readers.